Since having children I find myself thinking about my own mother quite a lot. She passed away from cancer when I was 18 so I think of her while reminiscing about my childhood. I was born and raised in Canada to parents who emigrated from Japan in the early 1970s. I am Nikkei-Nisei, second generation Japanese. Growing up I spoke Japanese with my parents and siblings. My mother taught me to read and write, while at school I was learning the same in English. Things that were a normal part of my childhood -like celebrating Japanese holidays, and playing games which required fluency with a language that was second nature to me – were experiences that linked me to a country and culture geographically far from where I grew up. I was part of a small, tight-knit local community where I got to know other children, like myself, of Japanese descent. I remember the kinship with those who also grew up with a strong and distinct cultural identity in a society that strived to celebrate our diversity and differences. My status as a ‘visible minority’ would not define me and I defied any artificial restrictions I came across. I highly credit my parents for the healthy confidence that they fostered in me. Fast forward a few decades later and that same self-assurance and sense of personal identity began being dismantled bit by bit. I first became a mother in 2012 but it was not for a few more years until after my son was born that the battle with anxiety became overwhelming. I powered through the first few months in a daze, but I couldn’t seem to find a comfort zone as a second time mother. Worry and fear would keep me up and I struggled in making any parenting decision. The absence of my own mother who had passed away years ago weighed heavily on my spirit. Before long I didn’t recognize the woman in the mirror before me anymore. 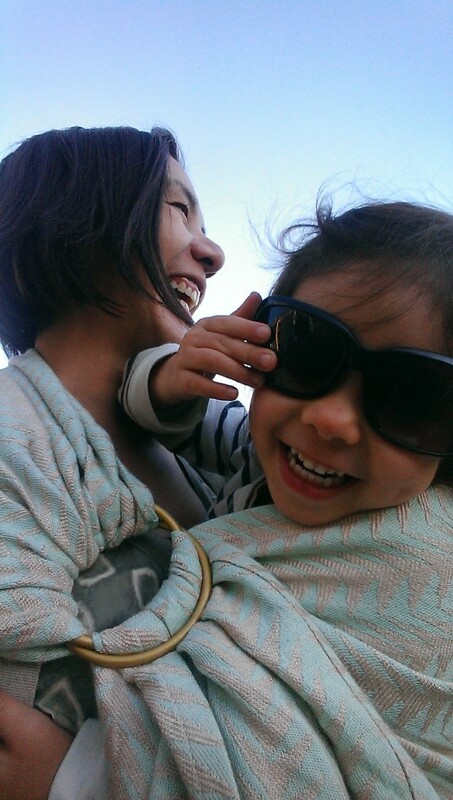 Babywearing started as purely functional, and was an essential in my motherhood survival toolkit. At first the long piece of cloth felt heavy and burdensome in hand, but soon the process of wrapping it around myself became a ritual that would calm my nerves. 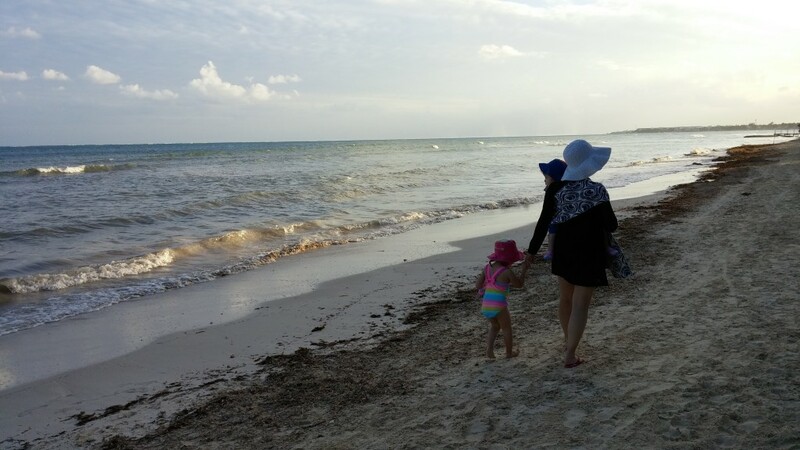 It felt cathartic and allowed me to parent a precocious toddler while keeping my baby close. Slowly, I began to feel more like myself again. The sleep deprived and unshowered version, anyway. 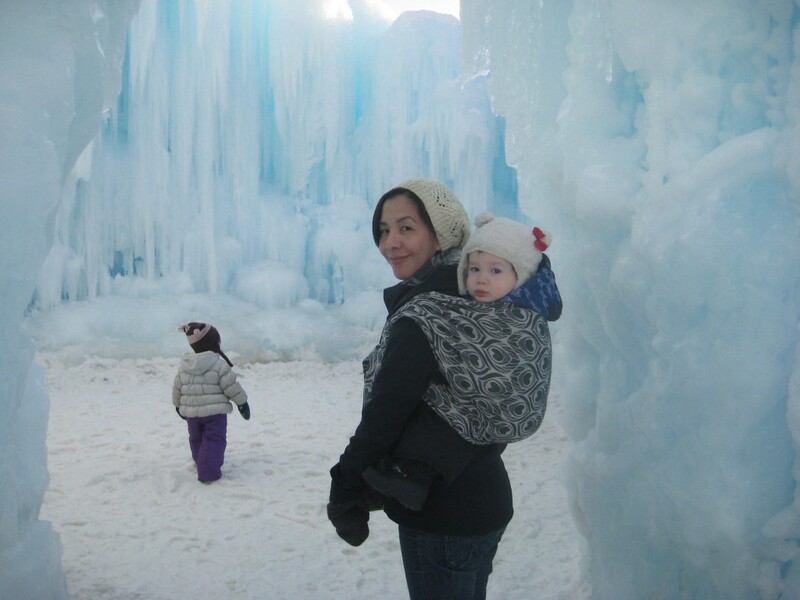 After being frustrated with search results for a local ‘moms’ group’ to turn to for support, I found myself welcomed into an international group of mothers, fathers and caregivers who shared a passion for babywearing. Chatting with other moms about everything from wraps, breastfeeding, to juggling kid’s needs and about raising bilingual/multi-lingual children, I finally felt like I found the like-minded people that I could call my community. Before long, what began as a parenting tool also evolved into a fun hobby. I quickly became vested in the wrap world and began to churn, read reviews of influential babywearing bloggers, and started to geek out about wrapping qualities of different fibres, blends and weaves. My appreciation of woven wraps led me to seek out brands and creators that aligned with my sense of aesthetics and want of quality textiles. With that, I came across Artipoppe. Bison, babycamel, qiviut, vicuña. Soft and luxurious wools to the strong silks, I found their fibre blends and weft pairings always innovative and a pleasure to try. They have never disappointed with their beautiful wraps that I would buy to snuggle my youngest but found could equally support my older child. What impressed me about Artipoppe more than just their quality products was their commitment to customer service. Their personalized and occasionally playful or witty email responses never failed to make me smile. Fellow babywearers have challenged me to be a socially conscious consumer and I have always considered Artipoppe with a critical perspective as necessary. I believe my voice as a person of color, mother, babywearer, and community member are not insignificant and do carry weight. Also, because change does not occur in a vacuum, I appreciate that as a brand they are open to talk about diversity and have respected my viewpoints whenever I have spoken up. In these conversations I feel empowered and like the strong, independent and culturally aware woman that my mother modelled for me growing up. Now, I don’t know if my mother was a babywearer or not. Or whether she would laugh or encourage my passion for woven wraps. Regardless, I feel like I am doing right by her in finding my own path with parenting. So even though I know my time as a babywearer may be fleeting, it’s an important part of my motherhood journey and one that helped me find myself again. Cheers to my babywearing friends and this lovely community who have helped amplify my voice along this way. As well, here’s to the cultural legacy I aim to pass to my children, similar to how my own mother did for me.